This smartly designed brick-and-tile Beach Haven beauty has timeless appeal. 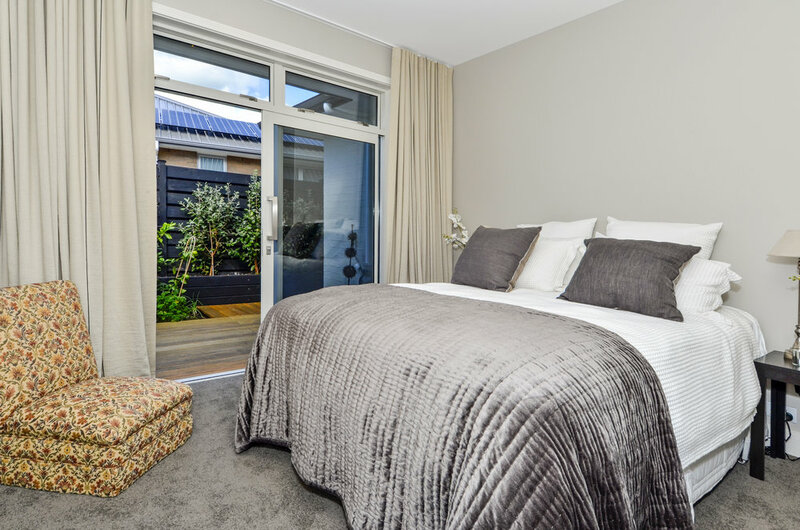 Three bedrooms, two bathrooms, a separate toilet and ample open-plan living are masterfully arranged on a tight 139sqm, while remaining light and comfortable. 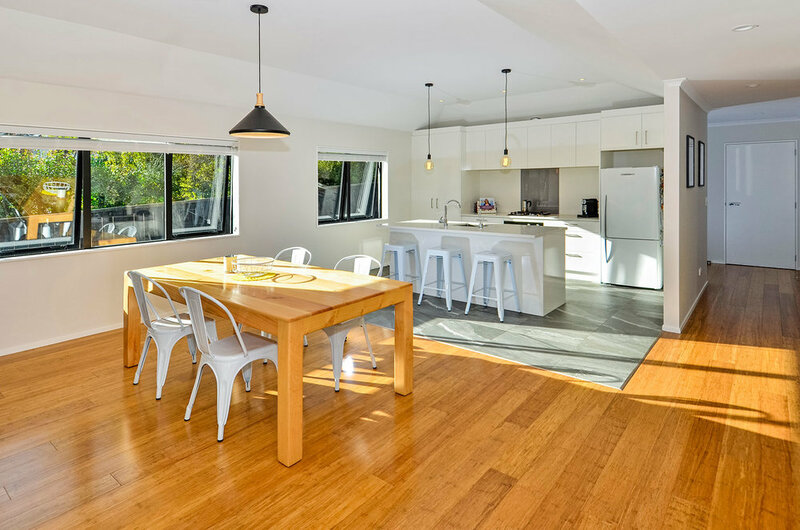 In the kitchen-dining area, a subtly raised ceiling allows for a generous feeling of space. 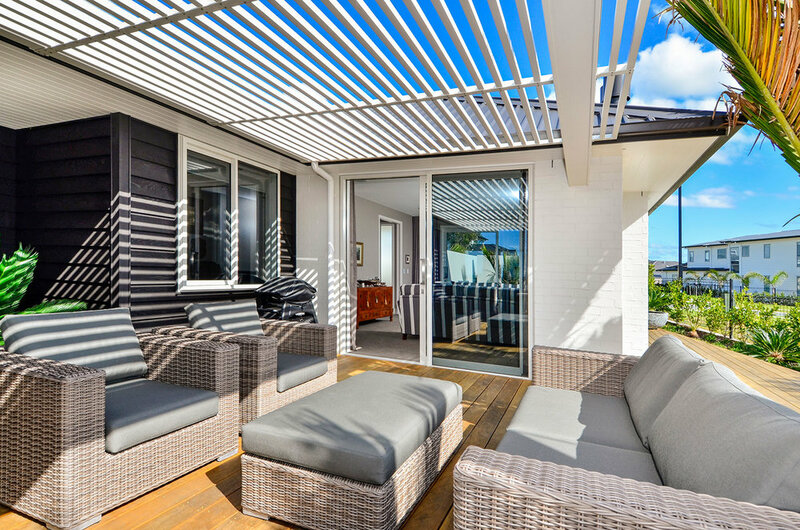 Indoor-outdoor flow provides a lovely connection between the lounge and alfresco area. 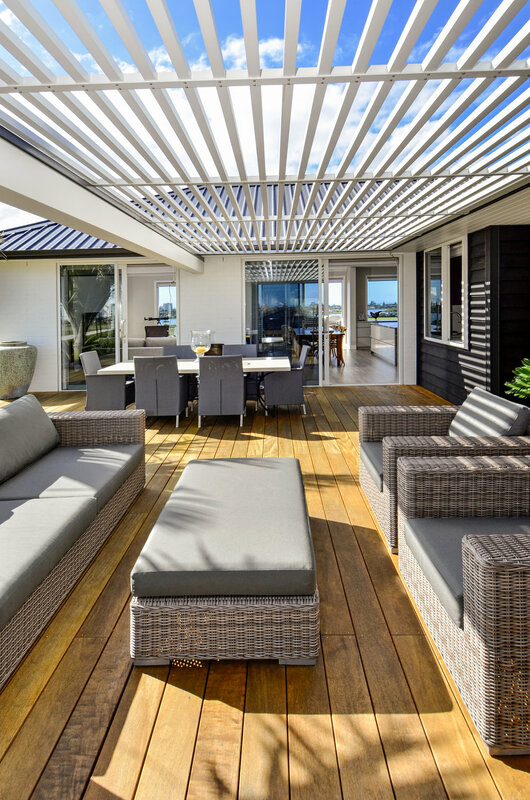 Decking sits well alongside the home’s wood floors, allowing outside to become one with the generous living area. It’s a great asset for entertaining. The barbecue is sheltered in case of unexpected sun showers. 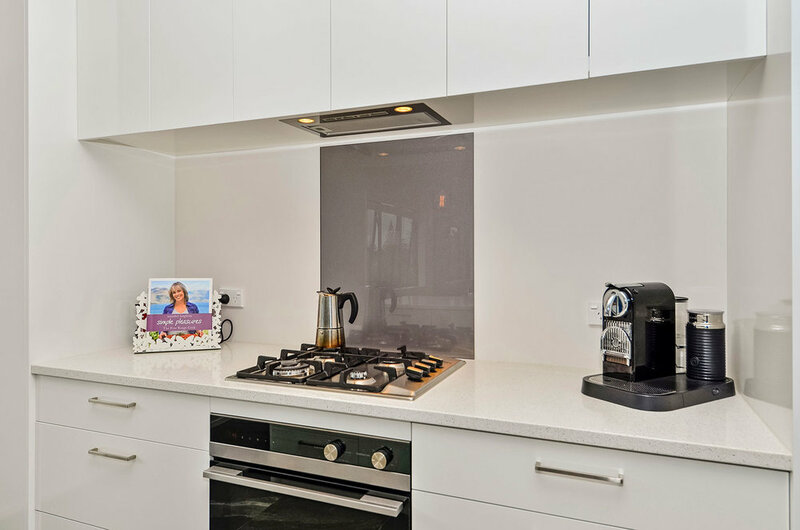 Perfect for laidback living or busy lifestyles, the easy-care kitchen features sleek stone benchtops and modcons. A switch in flooring signals that this is the heart of the home, gently drawing the line between kitchen and dining. 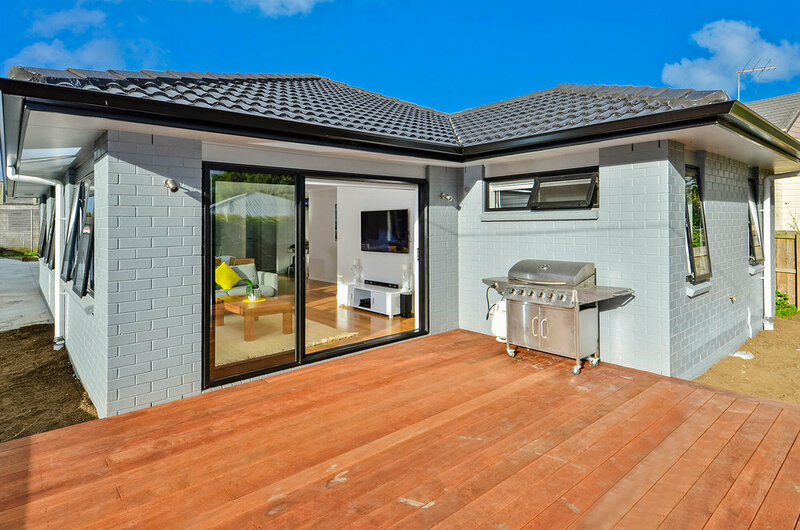 Painted brick and Taranaki pine weatherboards add appeal to the exterior. 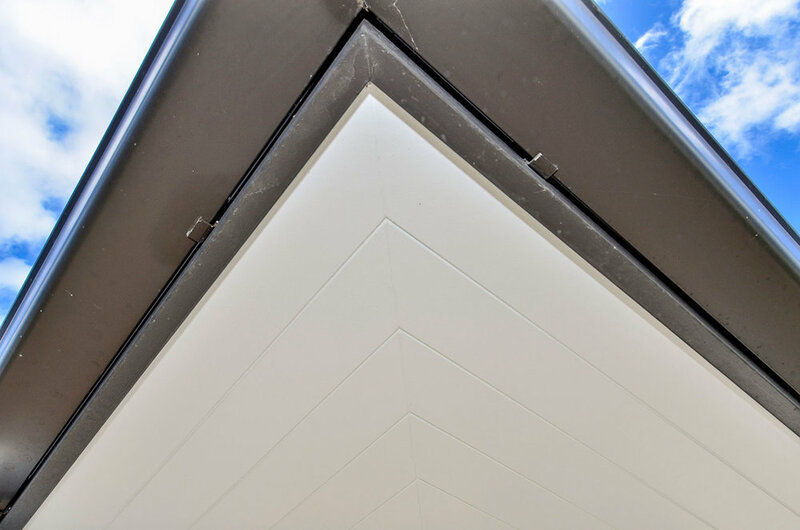 A stepped gable roof to the entry adds design integrity and individuality. 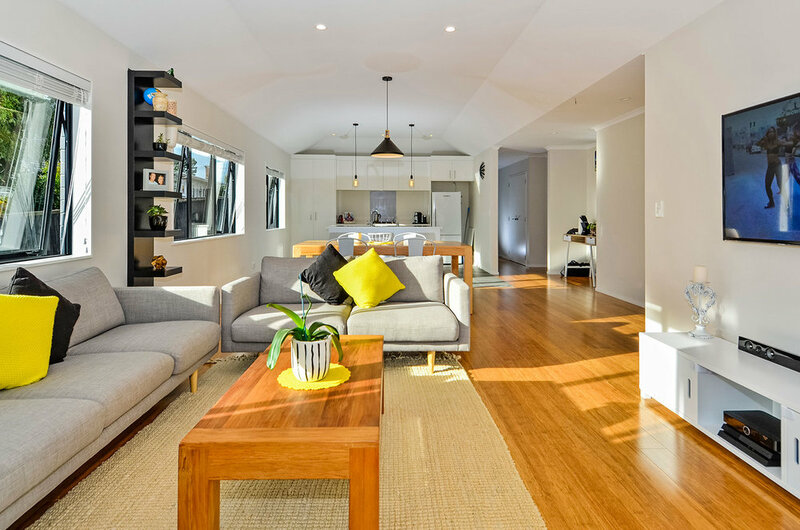 This 187sqm four-bedroom show home in Kumeu has been designed with simplicity and style, while keeping relocation in mind. 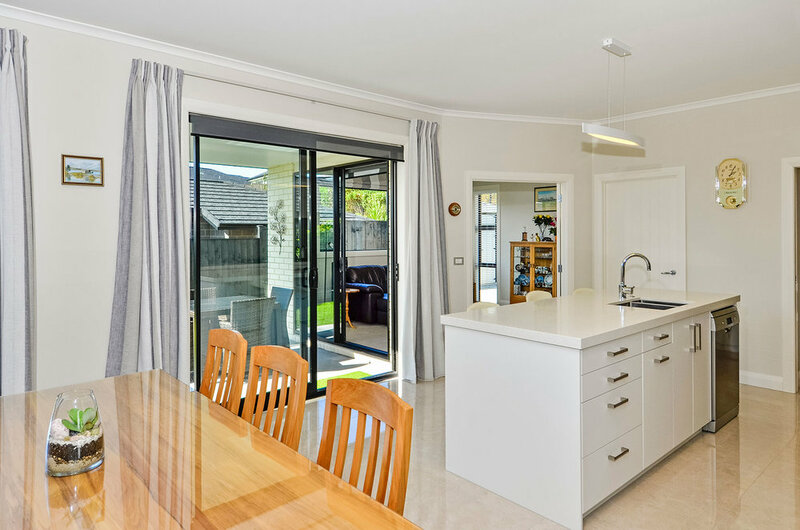 The overall design shows how high-quality materials and architectural features can create an aesthetically pleasing and practical home. 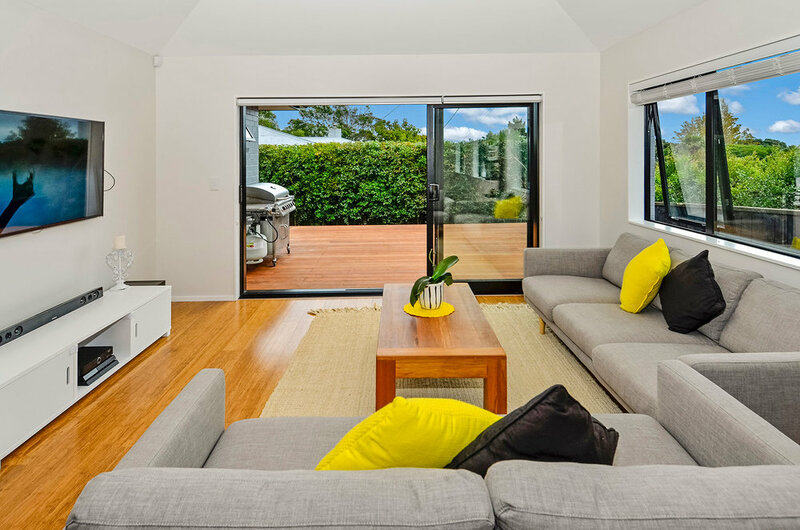 Feel a sense of space wash over you in the attractive open-plan areas with vaulted ceilings. Exposed trusses show an emphasis on quality craftsmanship. 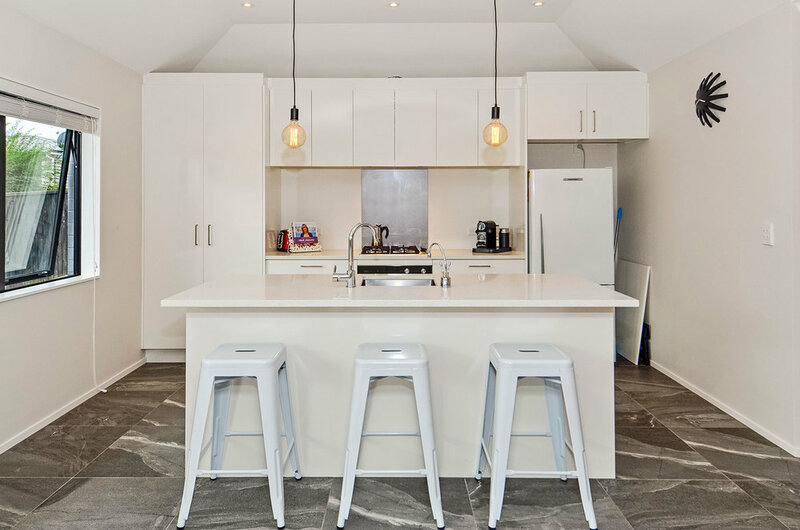 The overall feel of the space is soft and light. 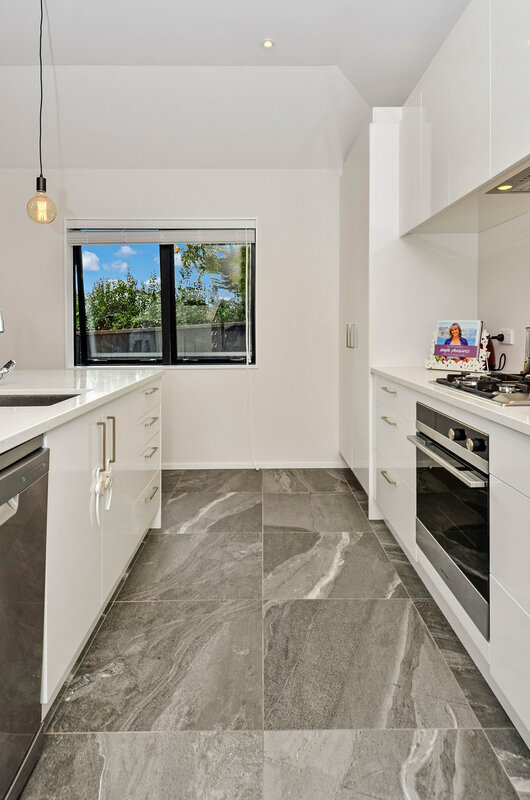 Quality Fisher & Paykel appliances complement the design of the entertainer’s kitchen. A butler’s pantry and wine fridge are ideal for catering to unexpected guests. 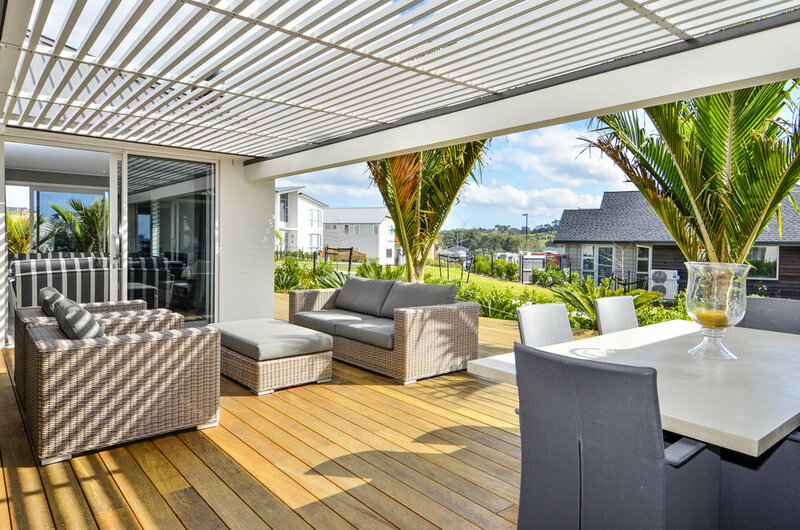 The living spaces enjoy good flow to outdoor living areas. 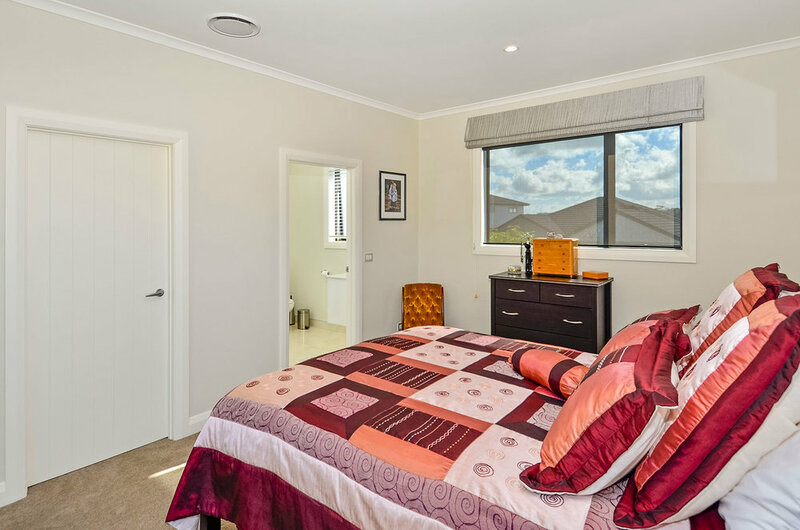 Four generous bedrooms include the master with spacious ensuite. 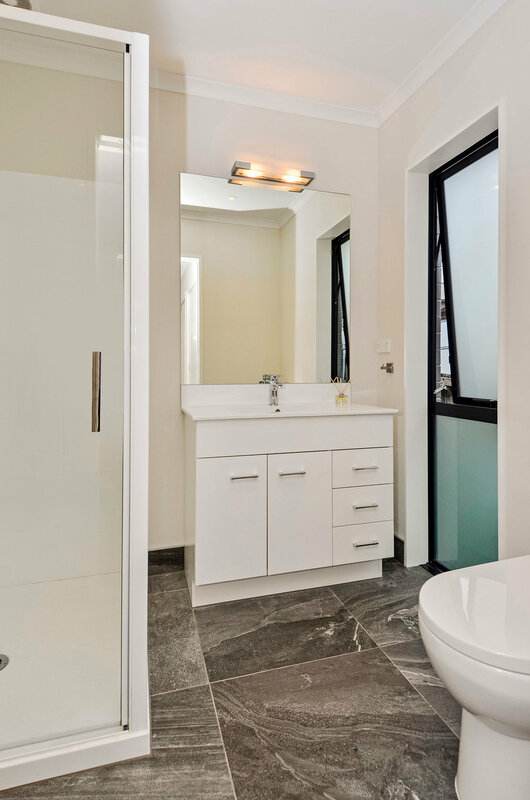 The main bathroom features a freestanding bath, tiled shower and custom vanity. There’s a separate laundry to keep messy jobs out of the way and out of sight. 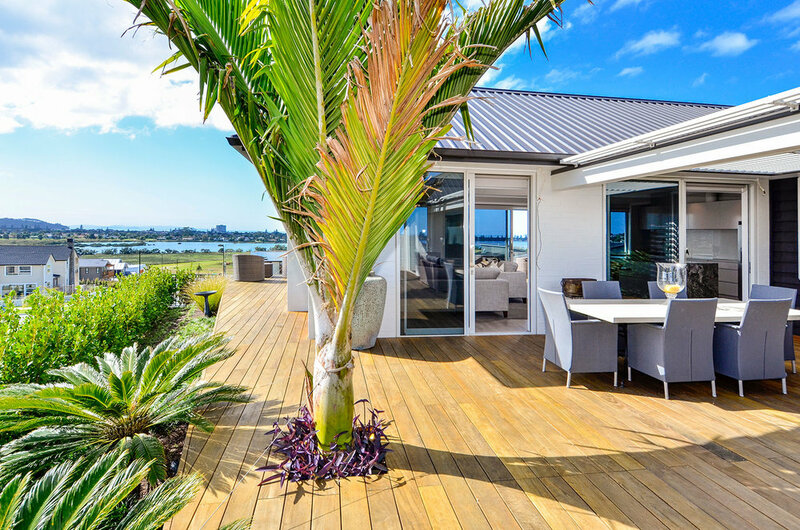 Cladding includes horizontal Taranakipine weatherboards and vertical shiplap cedar. An asphalt tiled roof caps off this well-designed package. The calming sound of a water feature greets visitors to this Bali-inspired haven in Millwater Estate. A fish pond filled with life graces the entrance. Inside, the huge, light-filled gallery provides a taste of what’s to come. The owners’ art collection is safely displayed on load-bearing walls. A study snug is positioned in the hallway. 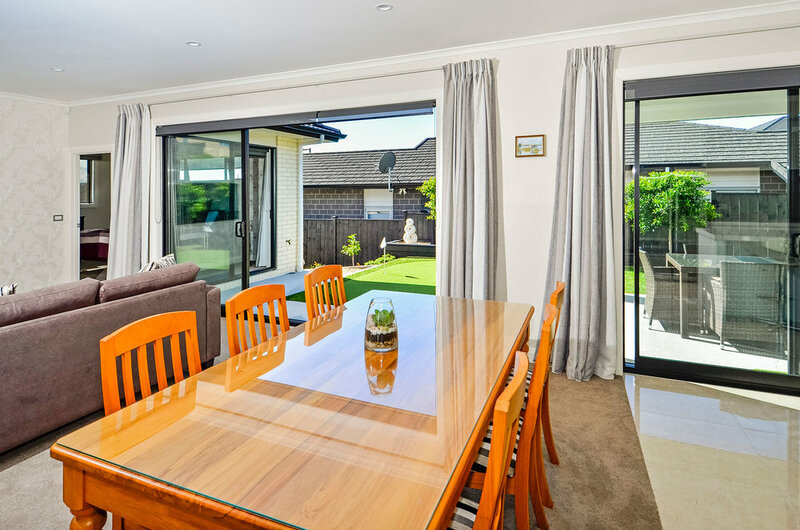 Three bedrooms, two bathrooms and two living areas effortlessly serve family life. 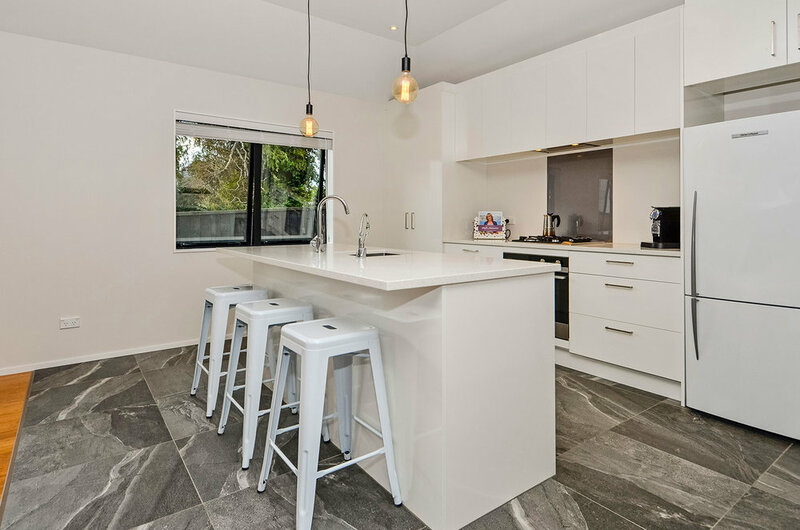 Honed granite benches with waterfall edges keep lines clean in the modern kitchen. European appliances are a luxurious touch. 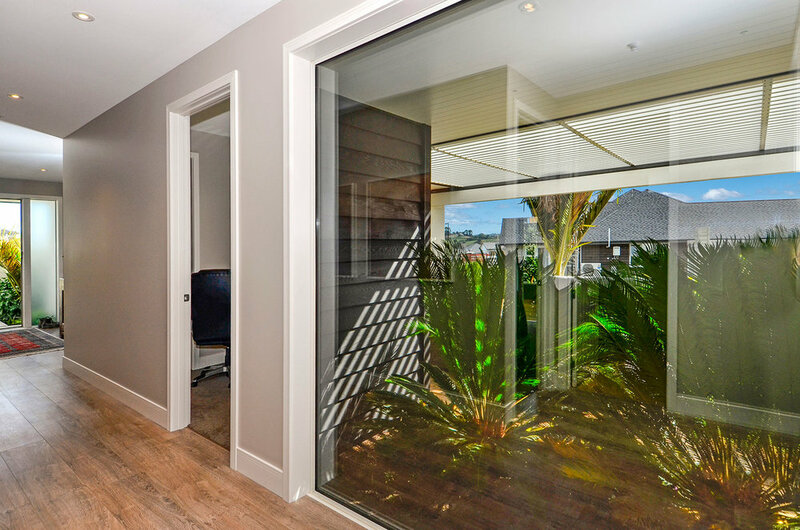 Soft-close draws and sliding doors throughout the home keep things hush-hush. A butler’s pantry connects to alfresco living. 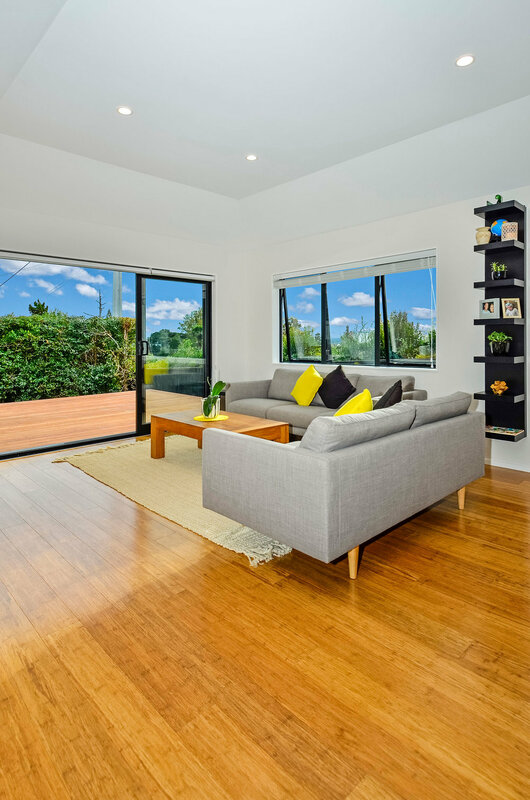 Decks are positioned to the east and west off the open-plan. A pitched ceiling fosters a calming sense of space, while an Italian glass chandelier adds opulence. 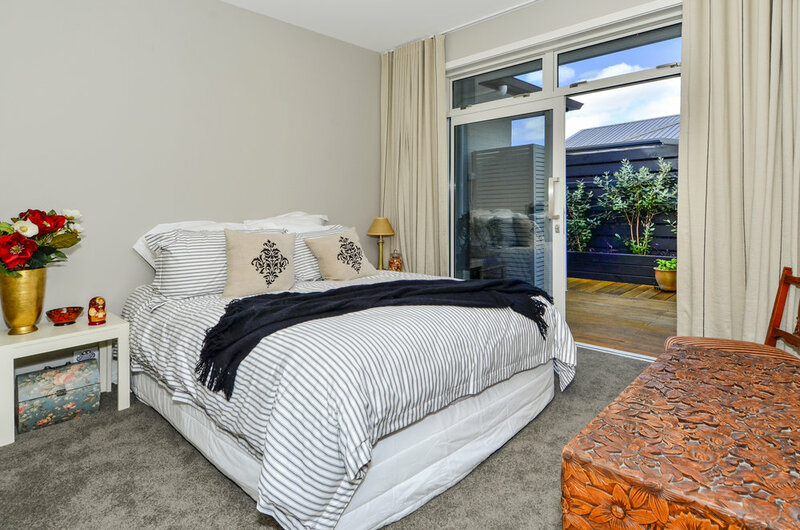 The generous master bedroom is a resort-style retreat. 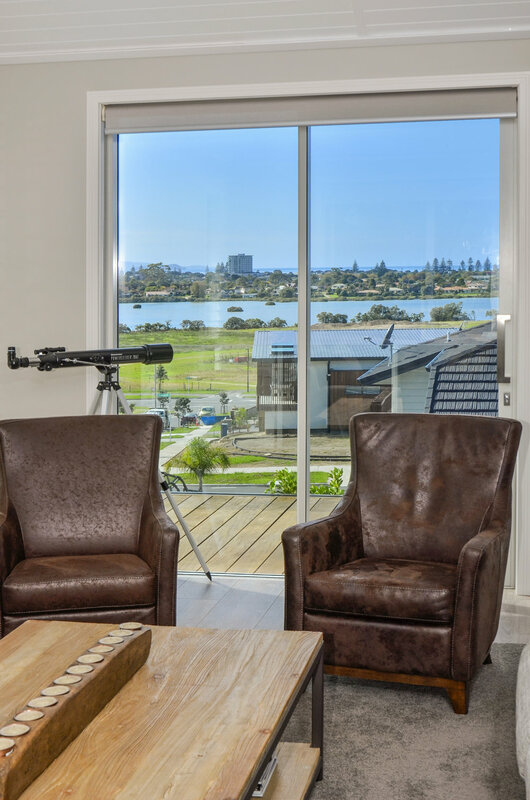 Automated blinds mean there’s no need to get up to enjoy the picturesque outlook. The ensuite is the epitome of luxury with a freestanding bath by an oversized window. Pure Bali-inspired bliss. 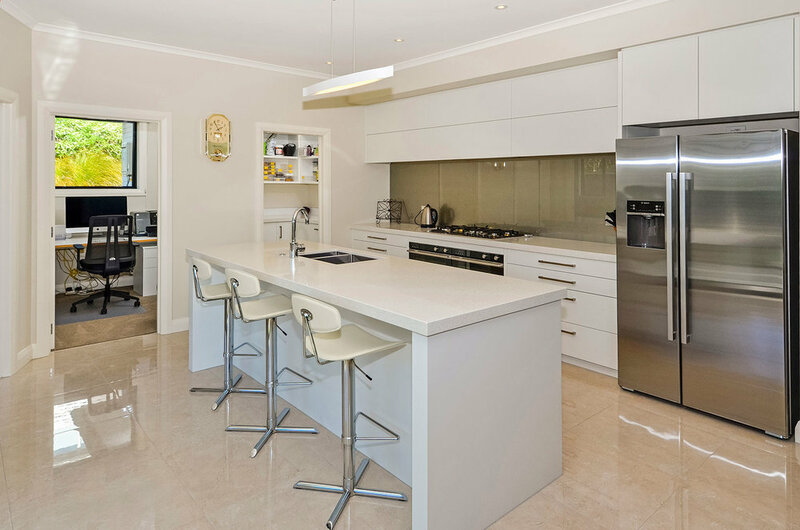 There’s more to this Millwater Estate home than meets the eye. The classic, understated brick exterior belies a clever contemporary split-level design, which beautifully suits the contours of the site. 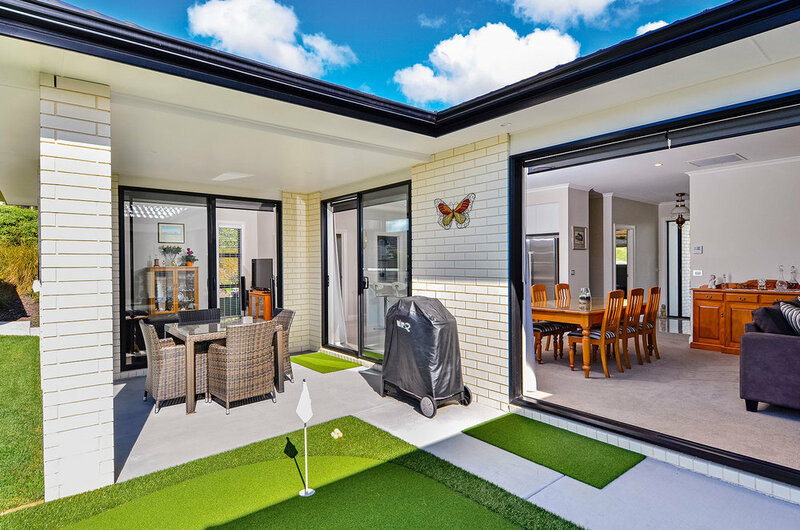 The entry welcomes with generously proportioned joinery and keen golfers will be immediately drawn to the putting green just through the open-plan area. 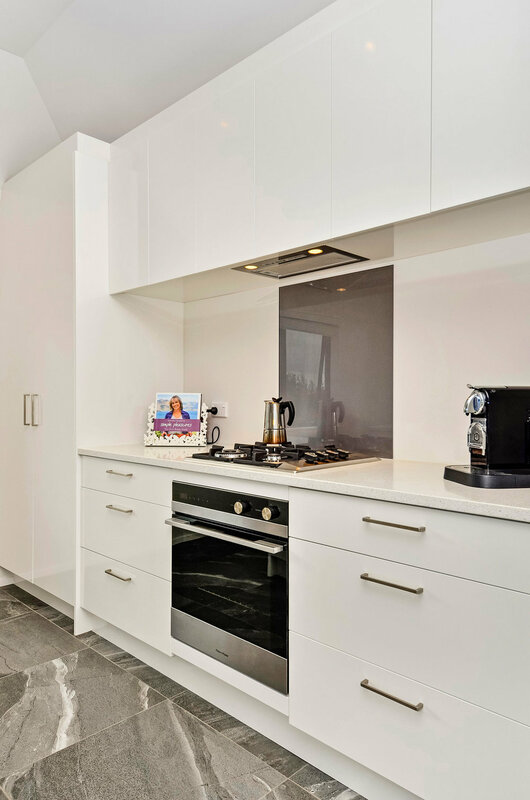 After you’ve worked on your short game, take a drinks break in the designer kitchen, central to the main living hub. 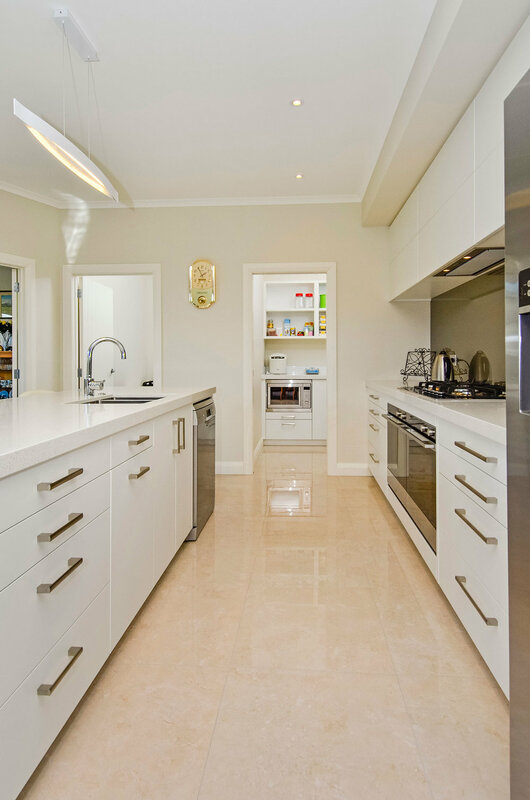 Beautiful stone benchtops and a generous butler’s pantry are two great features here. 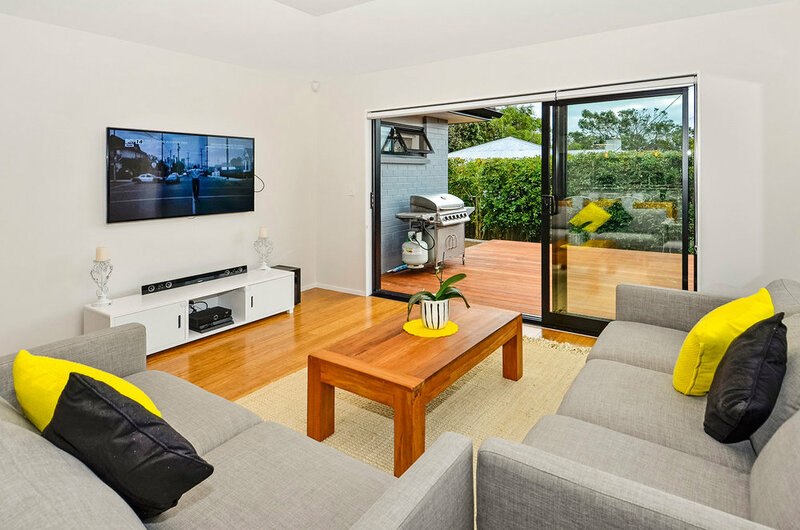 Positioned nearby, the formal lounge is also connected to alfresco living, which is ideal for hosting guests. A smart layout and 2.7m stud encourages space and easy flow throughout. 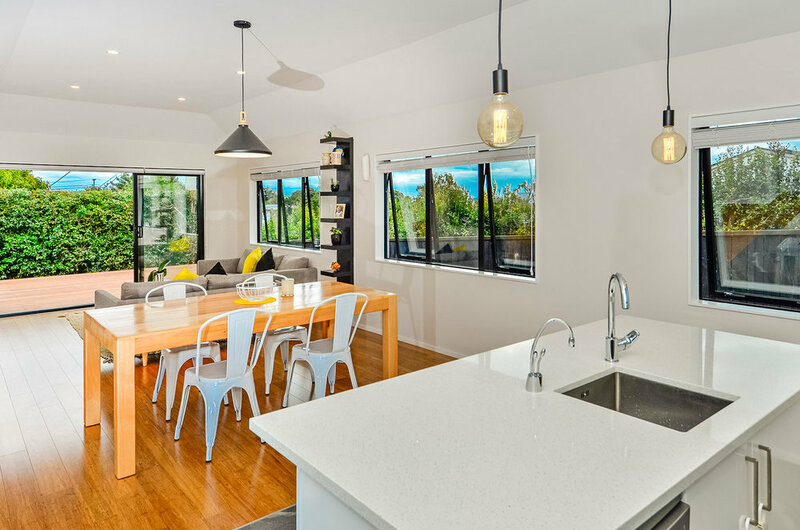 All four bedrooms offer loads of personal space and are insulated for sound. 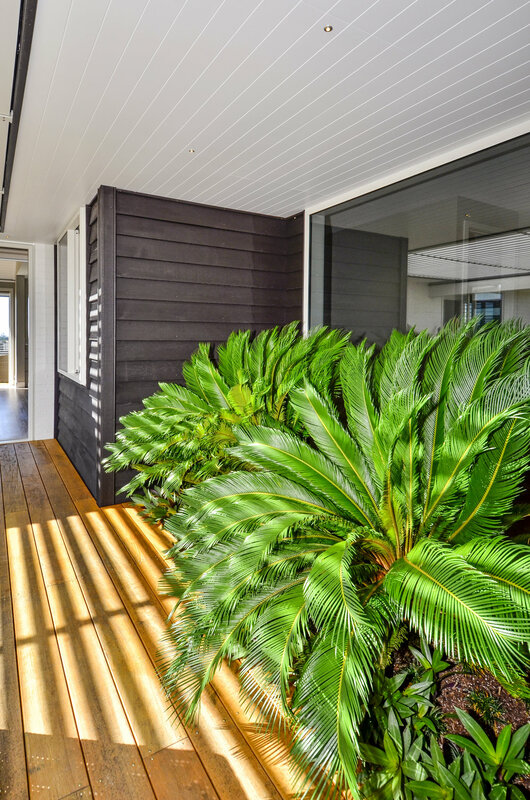 Ducted air conditioning keeps things perfectly temperate through the seasons. 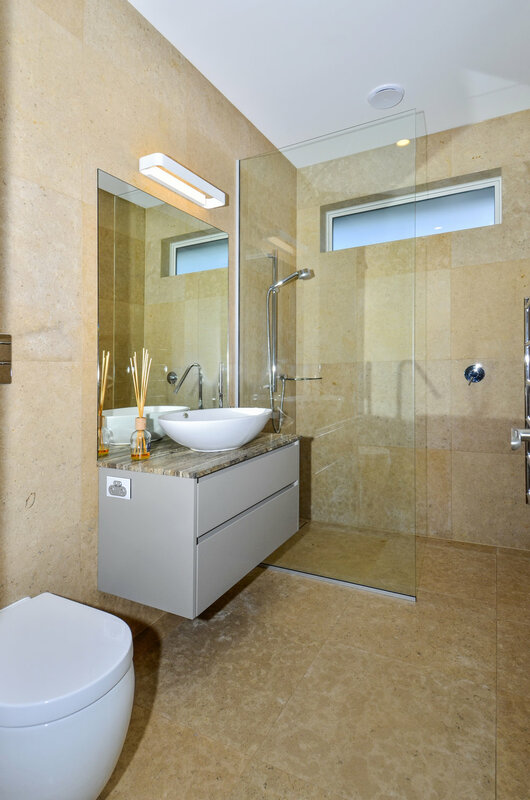 A family bathroom and generous master ensuite boast tiled showers. 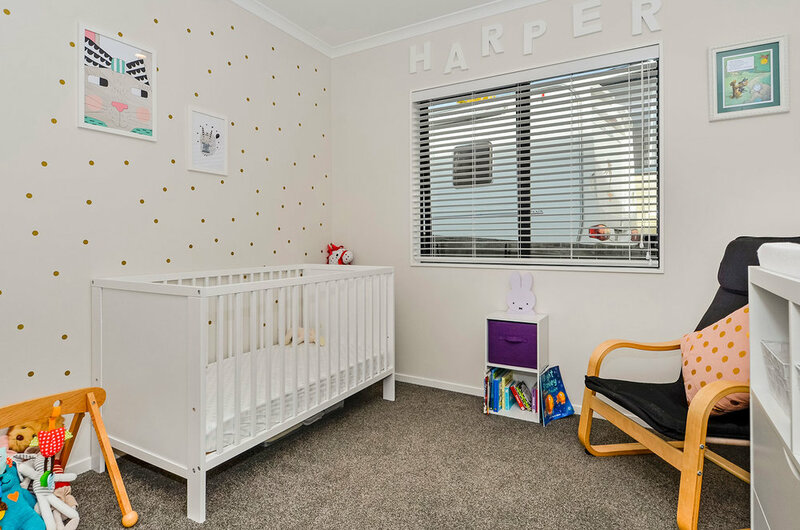 The carpeted garage doubles as a rumpus room, while a study and laundry are bonuses.